Obviously I can’t get my uncle back but I will never forget him. Talking about the cold seasons, I am much better prepared this year. I have everything I need to be able to continue my fitness routine during autumn. I think I also could continue in winter but I am not sure yet if I want to. Maybe I will see the winter as a break, at least the months with glazed frost or snow. That’s where my belly will maybe grow again, but I don’t care. What I find much more important is that my fitness routine was not just a short-dated idea of 2017. No, I’ve been active since April 2018 until today. That’s cool. This was possible because I already noticed in 2017 how I benefit from it, and it’s not just about weight loss. It makes me feel fit! But since weight loss is a nice effect too, I have to write a few more words about it. 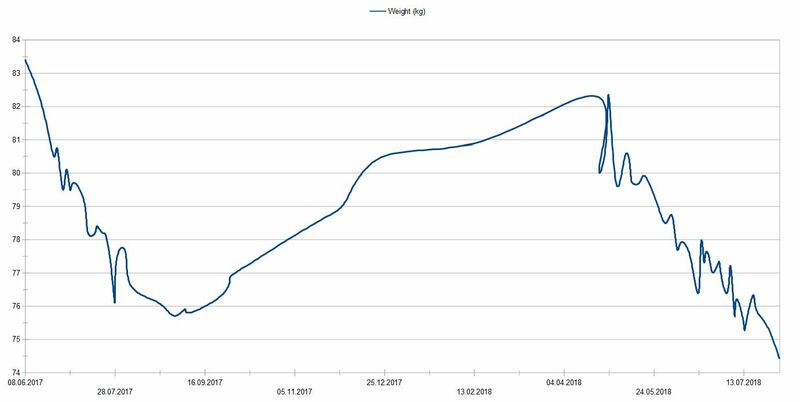 In August 2017 I got down to 75,7 kg, it was the lowest of the year. 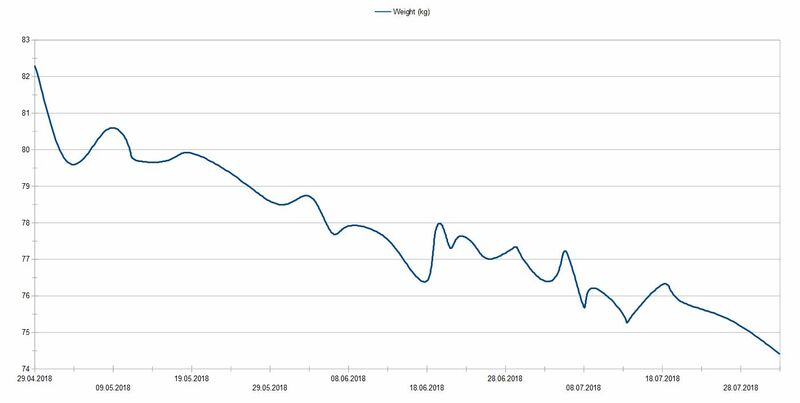 And this year in August 2018 I did beat that record because right now I am at 74,4 kg, it’s my lowest point of the two years. I think I had a very small head start, because even with the break I never really got up to the 83,4 kg again. Since I am now better equipped for autumn and winter, I wonder what kind of head start I will have in 2019. But then again, it doesn’t matter that much to me, because it is much more important that I didn’t give up with the running routine. I did it now for two years! Running is now not just a short-term activity, it actually became a habit! 🙂 Make health and fitness your main priority. You can always jog with your camera in a protected pouch (You never know of some of the interesting things that you might encounter while jogging). Really happy 😃 for you and your achievements. I had a knee injury since April that took my out until now but slowly getting back on cardio and figure out riding a bike is helping. Oh that sounds bad! I hope you recover completely soon. I think swimming could be an option too if you have no open wounds anymore. I started swimming labs this year, and while this is no cardio, it makes me feel fit too. I do especially do it on days when I need a break from running (muscle aching, back pain or knee pain). Since water carries you, it makes you lose all pains while you swimm and you still lose kalories even with the slowest swimming, if you do it for 30 mins or up to 2 hours. Swimming is my favorite alternative. When I have pain from running or in general, it goes away in the water 🙂 It’s always a really nice alternative. I hope you make more progress with your knee.